When all the mobile phone manufacturers went for free Android, Nokia went to Microsoft and happy to give them $30 for selling each of their WP smartphone. But at the end of the road Nokia is falling behind day by day. And till yesterday Nokia is continuously rejecting about any kind of plan to install Android operating system on their device. But this might change if Windows Phone 8 fails to gain attraction. 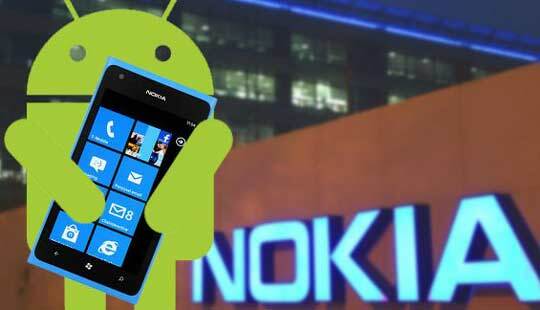 In an interview aired on a Finnish TV, Risto Siilasmaa, a member of the Nokia board of directors, said that the has a company "backup plan" if Windows Phone 8 fails. However, Siilasmaa also added that he is happy with how things are currently shaping up for Windows Phone 8 and switching to plan B probably won't be required. Microsoft and Nokia are betting on more features and less bugs to turn things in their favor.As it is impossible to back to Symbian we all might guess what is the plan B. Its obviously Android, when Google is developing a free model smartphone OS for you why you will wasting your time to develop a new one? Many people like me wanna see a high end Nokia smartphone running Android OS. At this moment, such a turn of events seems unlikely as the contract between Nokia and Microsoft is said to contain clauses, which force the Finns to focus all their effort on WP. But who knows!